There are 14 posts filed in Equipment and Gadgets ( this is page 1 of 2). 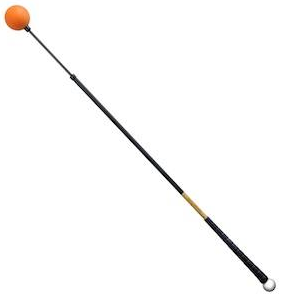 The Orange Whip Trainer is a swing training aid. It is 47.5″ long and weighs 1.76 lbs – designed to simulate a driver. 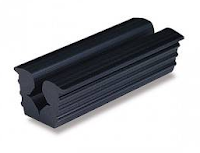 It can be used as a training aid and/ or a warm-up and stretching tool. Swinging this trainer will help you swing at good tempo while being on-plane and balanced. If you are not balanced/ on-plane with your swing you will not be able to repeat several swings in a row. It is also supposed to teach you a nice/ rhythmic tempo; which carries over to your real golf swing. When using the Orange Whip for warm up it loosens the muscles and also helps with your first drive. As it is weighted, it can be used in the same way as a baseball player swinging a bat with a weight in the on-deck circle. You take a few swings with this and then when you pick up the golf club, it feels might lighter. You can swing faster and with ease. 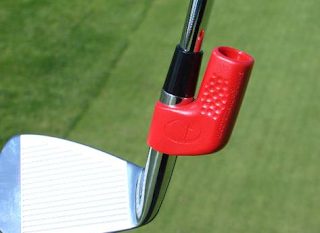 Although you can use it before you start, note that it is illegal to use during the round. 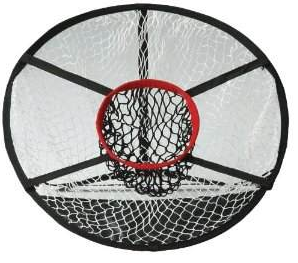 I came across this product online while looking at swing training aids. 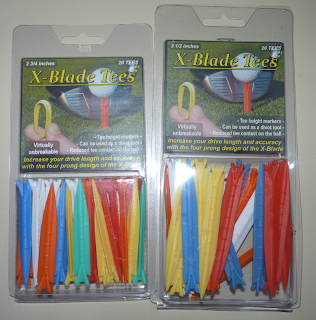 I did some more research and it got very positive reviews on the golf forums. 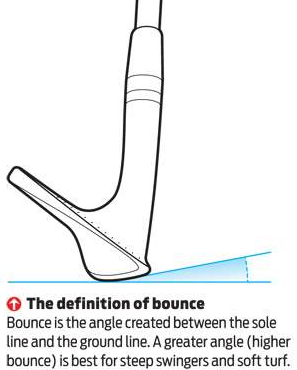 Although there are many golf training aids out there, this is one (of very few) which actually works and helps with your swing. I found the product useful for a brief 3-5 minute warm up before a round. After doing a couple of sessions with the Orange Whip, my hand started to feel a little sore and started to get a blister. I would recommend using a glove when swinging with this training aid. The Orange Whip Trainer retails for $109. On a side note I should mention that SKLZ has a product very similar to the Orange Whip called Gold Flex Strength and Tempo Trainer. It is half the price and seems very similar. I tried it out briefly at the store and the feel seems similar. The only difference I could notice is that the Orange Whip has a counter balance on the handle, which the SKLZ does not. I think the Orange Whip is may be a little better quality to the SKLZ also. You can get details of the Gold Flex Strength and Tempo Trainer by clicking on the below link. A few months back Ping released a app (iPing) to give you putting feedback. It is available as a FREE download for iPhone (4 and above), iPod Touch (iOS 5 required) or Android (Samsung Galaxy 3, Note 2). To go along with this app you need a cradle which attaches the phone to the club. This retails for $14.99-$19.99. 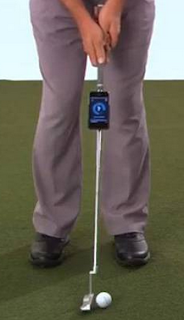 I simply attached the phone to the putter shaft with some rubber bands. You can also get creative and create your own cradle. 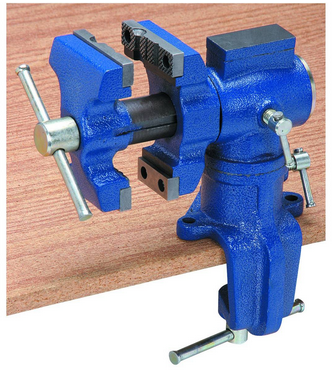 You just need a shaft clamp/ clip and a spare hard phone case (you can buy on eBay for less than $2). You simply just superglue the clip onto the back of the case and voila! The app is really simple to use. Basically you can view a bunch of stats about your putting, which is determined from the gyro’s in your cell phone. The main three stats given are; Stroke Type (whether you pull the putter straight back and through, if you have an arc on your swing etc), Impact angle (whether the putter head straight at impact) and Tempo (follow through after impact, i.e. perfect would be 2:1. 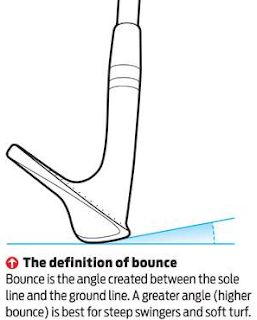 Meaning you swing though double the distance, of what the back-swing was). After each swing the stats will appear on the cell phone screen for you to see. There are also a number of advanced stats which you can also monitor. There are some additional features also. 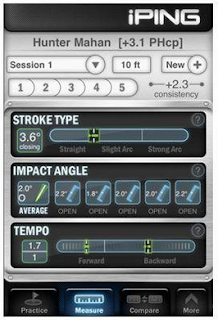 You can view and compare your putting stats to Ping PGA Pro’s. You can also do a “fit” where the app will recommend Ping putters which suit your swing. In addition you can save sessions and compare to previous. I found the app a great tool – especially so as it is totally free! I practiced inside my house using my SKLZ putting mat (review is posted here). I always thought that I was pulling the putter back and through in a straight line. However I discovered I had a 10 degree arc (strong arc). The following day I went to my local golf store and tried a putter which was marked as ideal for a player having a strong arc. It was the Ping ZB S TR. I could not believe it. The putter felt great and 5 of my 10 10ft putts went in the hole. With the other putters I found the balls were going right. This made sense as the strong arc putters are weighted in a way that helps the face of the club to swing around towards center at impact. I found iPing worked better on the iPhone than the Note 2. Simply because the iPhone is smaller and lighter weight. The Note was a little unwieldy when trying to fasten onto the putter. I did find a glitch when using the Note. 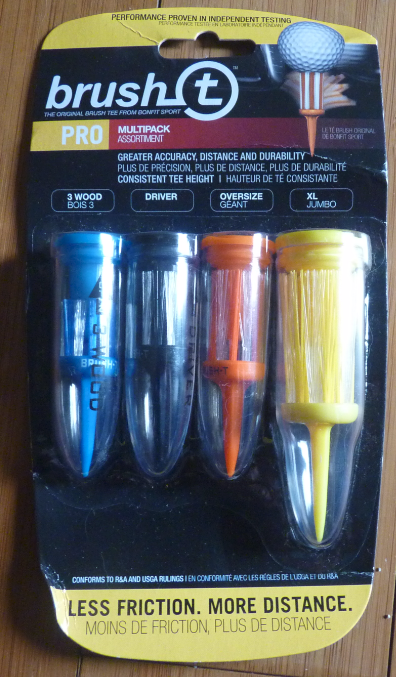 I found I could practice fine and the putts were instantly read; but if I tried the Measure or Fit function it would not read any of the 5 putts. I think this could be as I had the cell phone attached to the club with rubber bands and not secure in a cradle. Overall this is a really fun and useful gadget. The main use for me would be to check that the face of the putter is straight at impact. As it is free tool I highly recommend downloading it if you have an iPhone or Samsung Galaxy. I would say that iPing is probably the best app I have downloaded on my phone in the past couple of years. I am interested to hear your feedback. If you have any questions or thoughts on the product please post them in the comment box below. 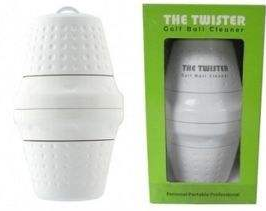 I came across The Twister portable golf ball cleaner while browsing gadgets on eBay. 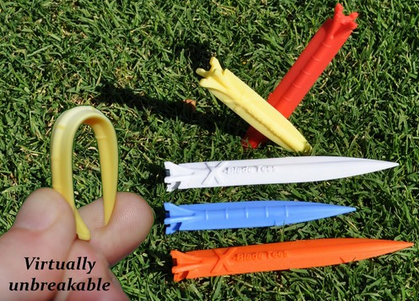 It was featured on ABC’s TV show Shark Tank. The Twister website claims that they were voted #1 golfers gift of the year. But there is no reference as to who/ when that was claimed. The product is well packaged in a green box. My initial impressions when opening the box was that this was big. The ball cleaner is 5 1/2″ x 3 1/2″ x 3 1/2″. In fact I think that this is may be too big and bulky to carry with all of the other golf paraphernalia which accompany me on my round. The product retails for $19.95, but I have seen it at various places online for about $10. So how does it work? Basically you fill the product with water mixed with a cleaning fluid (dish soap) before you leave for your round. When you need to clean you ball, you unscrew it and put your ball in the center. You then twist the product like a pepper mill. The bristles inside it scrub the ball. I have been testing/ using The Twister over the past couple of weeks. I was skeptical before I started using the product. It works fairly good. But doesn’t get the ball spotless, but certainly cleans the ball. It is a little tricky to screw up once the golf ball is inside it. 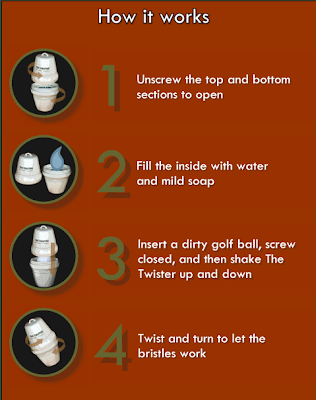 You also have to remember to fill it with clean water and dish soap before you leave to play your round of golf. Also it as unclear how much water you put in. I looked on their website and there was nothing really noted. I just filled the base until the water came up to the bristles. But not too much water so that it spilled out when you open the Twister. It has a clip to allow you to attach it to a golf bag. As shown in this picture to the left. Would I recommend this product… I don’t know. I wouldn’t run out and buy one immediately. 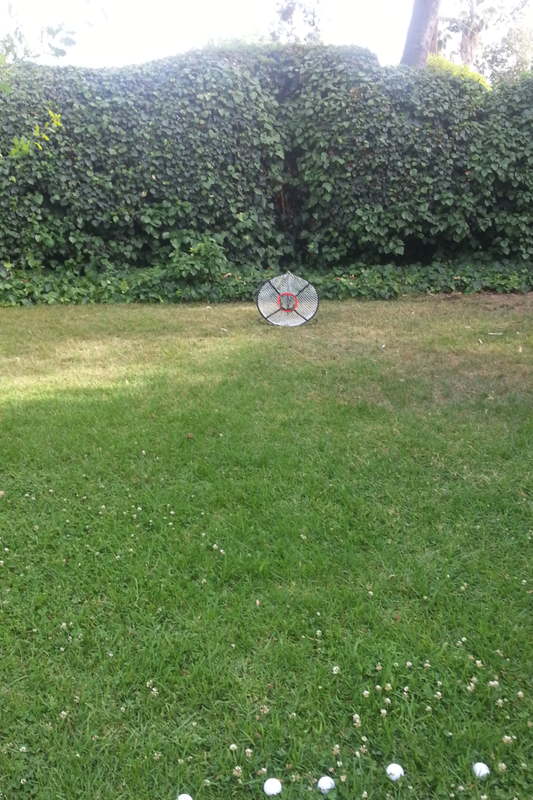 It works adequately, but it is so big and cumbersome. 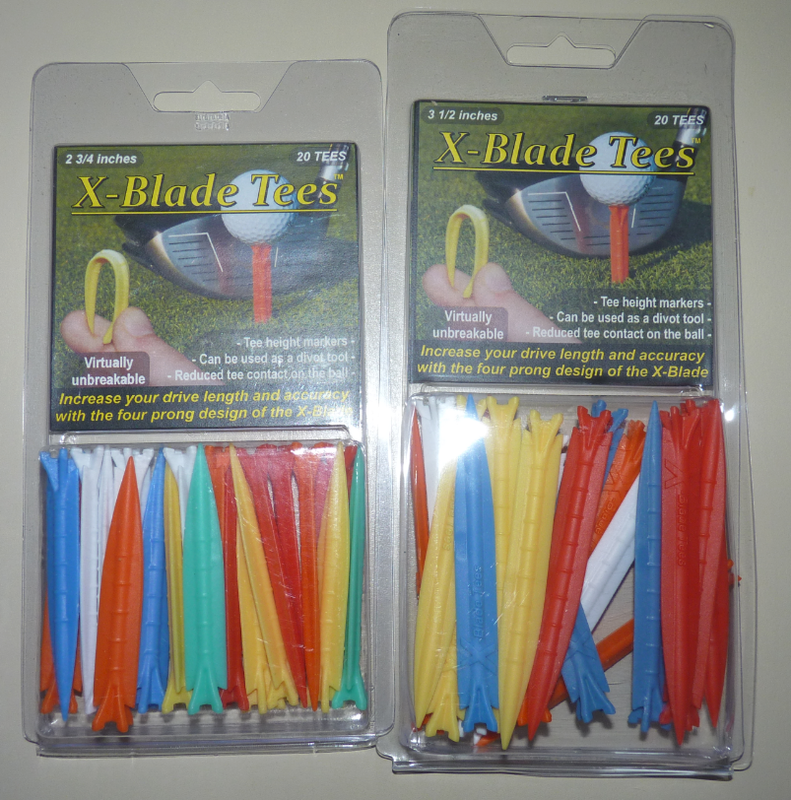 If you can pick one up for $10, I think it would make a good gift for a golfer who likes gadgets. But for me it is not a must have. If you play at locations which have ball wash stations on every tee, then I don’t see any point in hauling this around with you. 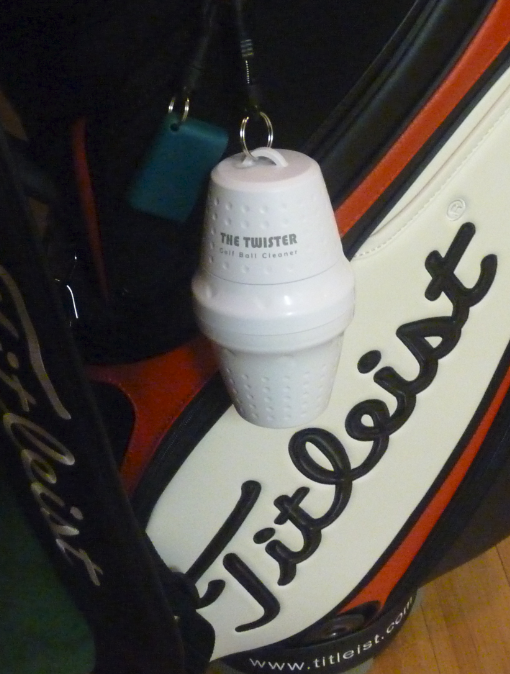 The Twister Cleaner, the one and only personal golf ball cleaning device with scrubbing bristles! 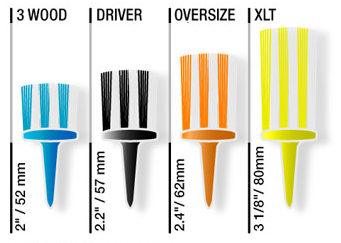 The simplest and most effective tool to scrub dirt off your golf balls. The Twister is leak-proof! 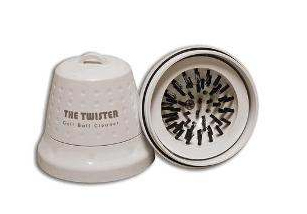 Simply fill The Twister with a mild cleaning solution then insert a dirty golf ball into the watertight chamber. 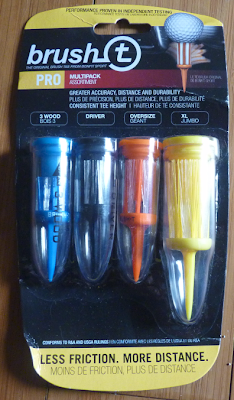 Next, close the unit and shake it to wet the golf ball and bristles. Now twist and turn The Twister to let the bristles work on the golf ball, whisking away the dirt, grime, and grass for an all-around clean. 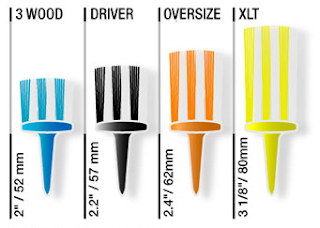 With this fantastic little golf ball cleaner, you can be sure you will get the maximum performance from your golf balls on every shot – especially on the greens.